Climate control is the largest energy expense of a typical U.S. home. It’s easy to cut back a little on water use or turn off the lights when you leave, but it’s harder to make compromises when the comfort of your family and guests is at stake. Thankfully, there are small and moderate energy-saving changes you can make that translate to long-term savings. Follow these guidelines to help your HVAC unit be more efficient in the heat of summer. Blocking out sunlight in the summer seems contrary to the airy, bright feel of the season. But if you want your house to be a refuge from the heat without wearing out your AC, you’ll need to stop direct sunlight from warming up your house. This could mean going simple with curtains or blinds—even light ones help—or paying for energy-efficient window treatments that will allow the light inside while blocking the heat. Other solutions include building an awning or planting trees to shade the areas of your house that receive the most sunlight. You can go as sophisticated or as simple as you would like when it comes to this passive way of cooling your home. Good insulation lowers the amount of heat exchanged through the walls, attic, and roof of your home. Heat rises, so proper insulation in your roof and attic are especially important when it comes to keeping that expensive cool air inside. But insulation can’t do its job if there are leaks in your ducts or gaps around windows and doors. You can track down the air leaks yourself or get an HVAC professional on the job—just remember that without proper insulation, you’re throwing money out the window. Dirty air filters can negatively impact the efficiency of your air conditioner and lower the air quality in your home. During the cooling season, you should be replacing your air filters once per month—doing this routinely can increase your system’s efficiency by five to 15 percent. Try to tackle any other needed central air maintenance, such as cleaning evaporator coils, and cleaning any debris off of the outside unit before summer rolls around. Raising the temperature while you’re gone for the day is certainly an efficient solution, but it’s not a very realistic one. No one wants to come home to a stuffy house that takes an hour to cool down, and the cooler you set it when you get inside, the more energy it will need to meet your demands. Program your thermostat to start cooling your home before you arrive. Increase the desired temperature at night so that your AC isn’t working as hard at night as it is during the day. Consider installing a smart thermostat that will adapt to your schedule and create helpful pre-sets. Everyone likes a little privacy, but this can complicate cooling your home. A closed door obstructs airflow and traps air in the bedroom, which means it will look for a way out. If the air escapes through a crack beneath the window, your HVAC system is going to work hard to replace that air. Allow the cool air to flow freely through your home by keeping the path open. If keeping the doors open often isn’t an option, you can cut a bigger space between the door and the floor to allow better airflow. Make sure to keep everyone happy by installing ceiling fans in common areas and bedrooms. This will allow you to better control the temperature without hitting that “down” button. When it comes to choosing a new or replacement ceiling fan, you may think they’re all created equal. They’re just blades that turn when you flip a switch. But some ceiling fans have higher airflow efficiency than others and can be configured for LED bulbs, making them more efficient than the average model. Some models even have settings like a sleep mode, a timer, and an increased-cooling mode. 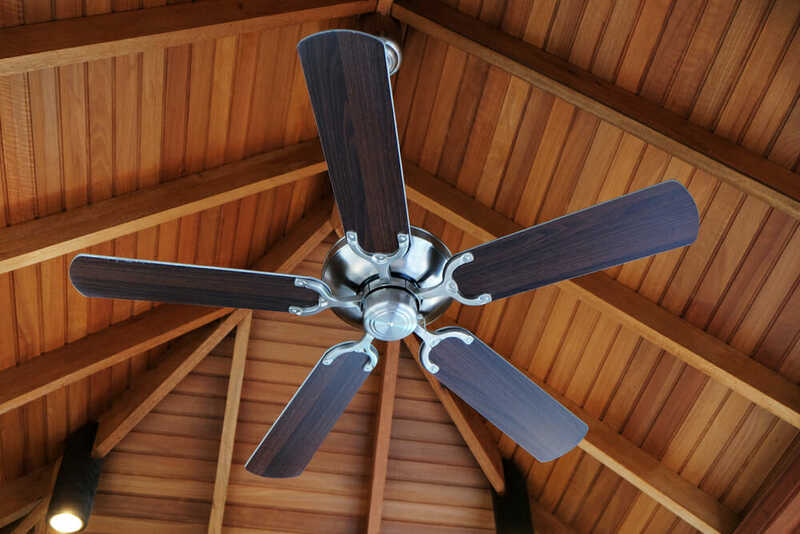 Look for ceiling fans with an Energy Star certification. Make sure that your fan is turning in the right direction. When you turn it on in the summer, the air should be blowing down on you rather than away from you. If it’s blowing away from you, turn it off and find the switch that changes it to the cooling mode. Turning off the fan when you leave the room—fans help cool occupants down but don’t change the actual conditions of the room. Avoid placing lamps or appliances that run on heat near your thermostat. The unit may work overtime because it thinks the room is hotter than it is. Learn about lighting and bulb options that don’t produce as much heat. Minimize use of appliances that produce some level of heat, such as curling irons, blow dryers, computers, and dryers. A few of these won’t be a problem, but if several of these appliances are on at the same time often, it can increase the heat in your home. 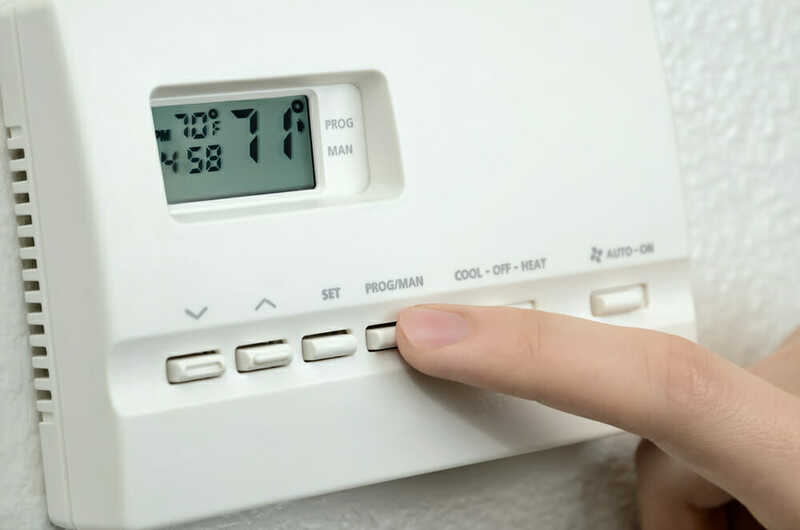 Applying these tips will do more than save you money: it will make your HVAC more effective, which will help make your home a more comfortable and inviting place to live for everyone.